Behind the Scenes: The Forgotten Ones Who Suffer from Alzheimer’s. When we think of Alzheimer’s disease we usually think of the individuals who have the illness. The individuals who lose their memories and lose who they are. It is a cruel and debilitating illness with no cure. Sometimes we forget about the others who suffer the effects of Alzheimer’s disease but don’t have the illness themselves…the family members of the person who has Alzheimer’s. Some family members give up a lot to take care of their loved one at home. Sometimes it causes tension between marital partners when one spouse is caring for a parent with dementia. Some have given up their careers to care for a family member and therefore have lessened their own earning potential. A family member of mine retired early at a reduced rate of pension in order to care for her husband who had developed dementia. The situation had gotten to where he no longer could be left alone, ever. My family member took her early retirement to become her husband’s full time caretaker. Unfortunately, dementia does not get better and only progresses and thus the costs of caring for your loved one increases. More medication is required, more medical equipment is needed and more general supplies are necessary. This can become a true financial burden for many. As in my family member’s case, she had reduced her income by retiring early and now had more expenditures than ever anticipated. This not only takes a toll on a family member financially but can cause health challenges. Stress-related health issues for caretakers of Alzheimer’s relatives have become a rising health concern in recent years. 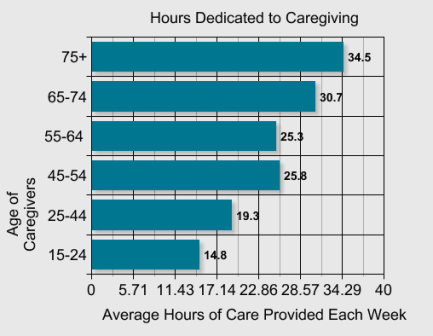 Caregivers will tend to focus solely on the loved one with dementia and forget to take care of their own needs. This can lead to many health conditions, exhaustion and depression for the caregiver. A recent piece in the New York Times related the effects of care giving to Post-Traumatic Stress Disorder. 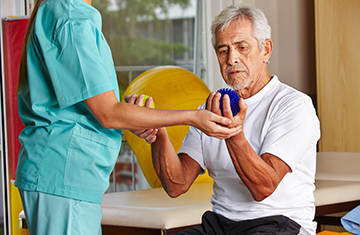 In addition to all of the care they provide, they must keep and balance the finances, maintain medical records as well as the day to day cooking, cleaning and general housework. This is what Alzheimer’s Disease looks like in 2014. Not only is the individual affected but the family is too. The saddest part of everything is the family caretaker sees the loved one slipping away day by day. My family member said that each day she would wake up and just see what the day would bring and what part of her husband would slowly disappear. Just a little view of the people behind the scene of Alzheimer’s.